Medicated Follower of Fashion: I Spy...the letter I! Where did you take this, it's amazing! Ice, obviously, but such lovely ice. It's a photo from a few years ago from a holiday in Austria. 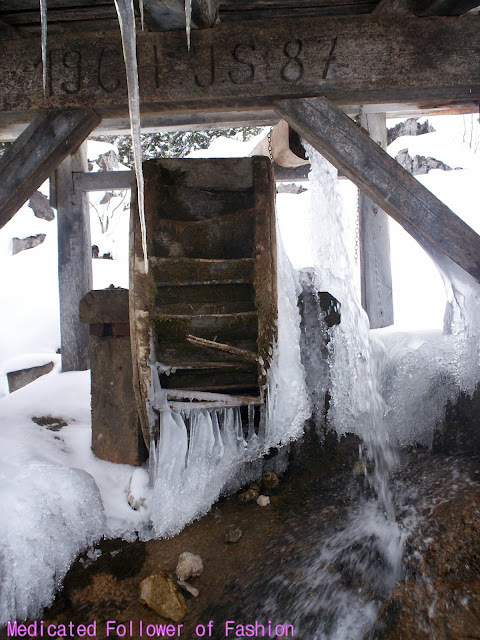 We'd taken a horse drawn sleigh ride high up to the top of a mountain and found this whilst we were walking around. It was breathtaking up there! Ice ice baby! Err of icicles. Either way brrrrr!!!! SO pretty, and also, bbrrrrr now I feel cold. It is pretty... and very VERY COLD!! The icicles were amazing. Huge!